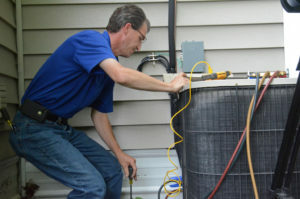 For HVAC repair Spring TX, many look to local companies to keep them cool. The Houston area regularly sees extreme heat. This causes problems ranging from being uncomfortable to heat related deaths. The unbearable heat that is seen during the summer months is dealt with by reliable HVAC systems. Your HVAC system is made of several different pieces of equipment. Most people think of only the heater and air conditioning units, but there is much more to it. With all that complexity, there are many ways that you could experience a failure. To return to a working system, the faulty piece needs to be repaired or replaced. Depending on the scenario, one makes more sense than the other. To find the best solution to your HVAC needs, talk to Houston Admiral. Our staff is highly trained and certified. Our address is 20222 Stuebner Airline, Spring, TX 77379. Their website has details on their service and products, find it at https://goadmiral.com. Call them at 281-876-9400 to speak to their staff or book an appointment. There are a surprising number of components involved in HVAC systems. Things like ducting and venting are important to the unit. In many scenarios, upgrades to venting locations, diameters, and other things improve performance. However, they are often overlooked. Companies that serve your HVAC system in Spring, TX are going to know what works best. The design of the system needs to include the small details. The electrical system is another key component that most people don’t think about. Your AC unit draws a great deal of power to run. The electrical system, from wiring to electrical box, needs to be able to handle it. This has a huge impact to your plans, if you are installing a larger unit. Occasionally, you may need to have an electrician come in and install upgrades to meet your needs. Then, you need to look at the units themselves. Heaters are usually installed because winter months are a little chilly. Depending on the size of your property, little in-room heaters may be used. For larger applications, ducting and a large unit is recommended. For the Houston climate, more emphasis is placed on the AC unit. Size it correctly, and it keeps you cool all year round. 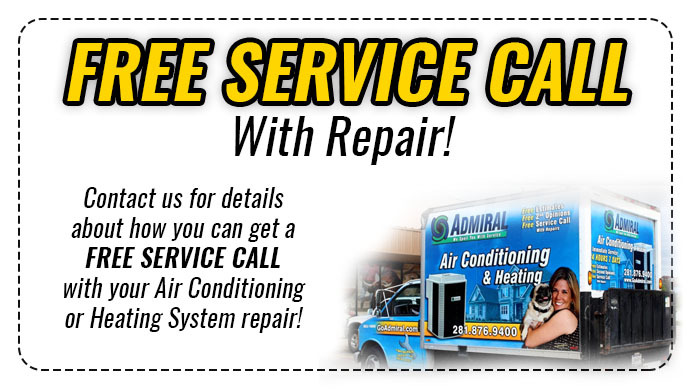 For more information regarding entire HVAC systems, talk to Houston Admiral. You can reach them by phone at 281-876-9400. Their experienced technicians are happy to walk you through the products they carry. All services from Houston Admiral are backed by their 100% satisfaction guarantee. Our location is 20222 Stuebner Airline, Spring, TX 77379. For more details on their service and products, visit https://goadmiral.com. When you have a failure of your AC unit, you generally have two options. You can either repair the unit, or replace it. There are pros to both of these avenues, and it is going to depend on a number of factors. Repair is best for when there is little damage to the unit. Small repairs are regularly done to these air conditioners. These repairs extend the life of the unit considerably. In some cases, repairs are just not worth the time and effort. An air conditioning installation in Spring, TX is the other option. Bearings are a common culprit, and are not too expensive to replace. When they begin to fail, a repair makes sense. If they are left for a length of time, a failed bearing is going to cause massive issues to the entire unit. Burnt out bearings are one reason you may be better off replacing a unit. This choice depends on the amount of damage that it caused when it failed, and the value of the unit itself. Age is another consideration. While repairs give extra life to a unit, it might not be worthwhile. Newer models are more efficient, quieter, and last many years. For older models, it makes sense to just replace it the next time it needs any fixes. Houston Admiral’s friendly staff look at your situation. They help you weigh your choices, and figure out if a repair or a replacement works best for you. Visit https://goadmiral.com for more information on their services. They serve the Houston area from 20222 Stuebner Airline, Spring, TX 77379. To learn more or book an appointment, call them at 281-876-9400. Replacing the entire AC unit is not always necessary in most situations. In some cases, the HVAC system in Spring, TX needs some general maintenance. Your system has a number of clues, which tell you it is time to call a qualified repair technician. They look at your system, run some tests, and talk to you about your options. While it is always an option to install a new machine, in some scenarios that approach is not necessary. To save you time, money, and hassle, call a repair company quickly. They are then able to address your problems before they turn into a big deal. Look for an increase in utility usage and a warmer house. Both of these point to concerns on how your unit is running. If it is suddenly using more energy, it is likely struggling for some mechanical reason. At this time, a service technician should inspect it in a timely manner. Likewise, as soon as the unit is no longer able to keep your home cool, that is when you know something is wrong. A qualified professional finds out the issue for you. They provide advice on the best next steps. Either a repair or a total replacement is recommended, depending on the issue at hand. The technicians at Houston Admiral are certified. We have years of experience keeping HVAC systems running their best. Call them to book a service appointment today at 281-876-9400. Our website, https://goadmiral.com, has more information on the services they provide. They know the importance of having reliable and efficient cooling, all year round. 20222 Stuebner Airline, Spring, TX 77379 is their address. 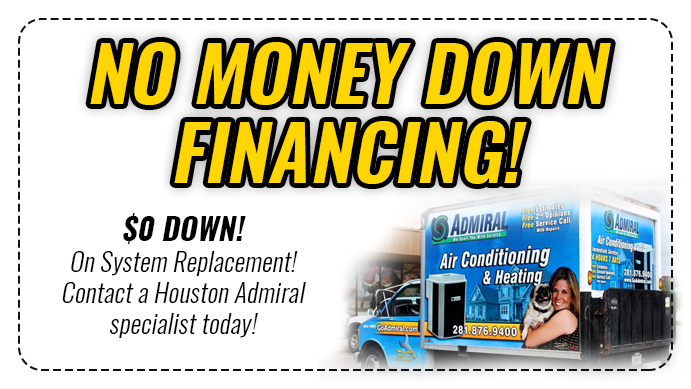 For HVAC repair Spring TX look to Houston Admiral to provide the cool comfort that they want.